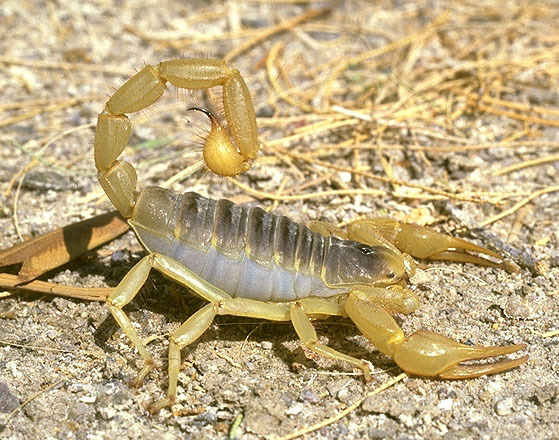 This animal, as you can see, is called a hairy scorpion. This is the largest native scorpion in North America. It gets its name from its size, and the brown hairs on its tail and legs. These hairs detect air and ground vibrations and are useful in finding prey. 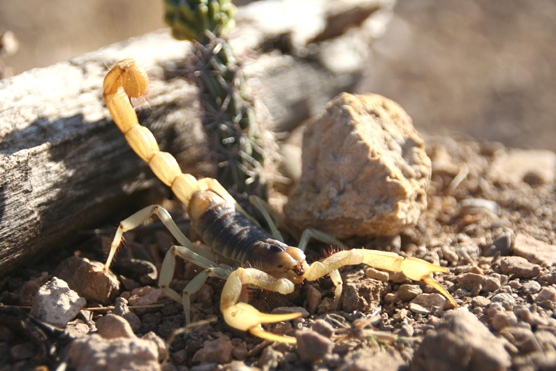 Usually this scorpion lies in wait, ready to ambush a suitable victim. 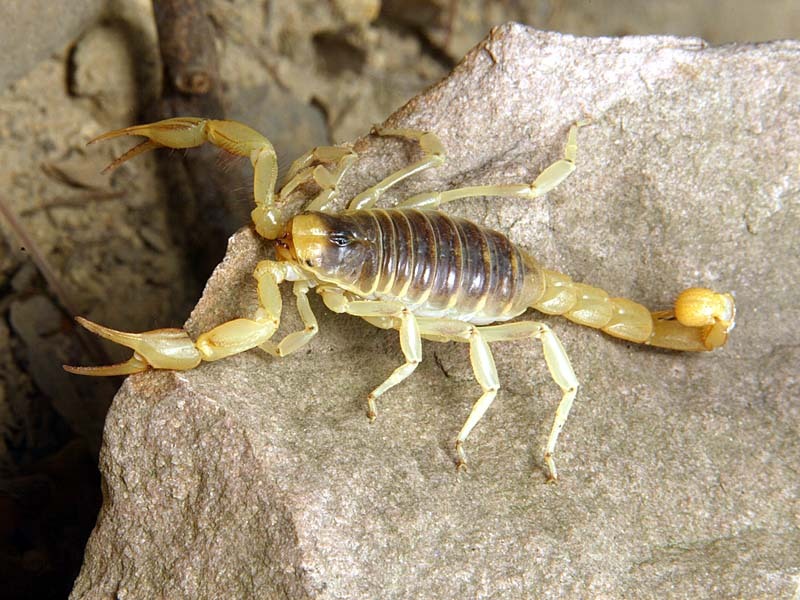 Although this scorpion’s eyesight is poor, its senses of hearing and touch are excellent! !